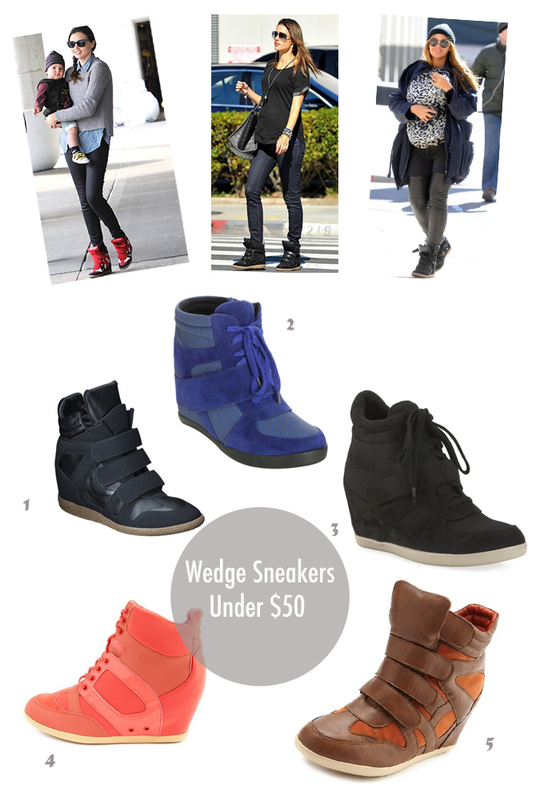 Celebs such as Miranda Kerr, Alessandra Ambrosio and Beyonce are just some that have been spotted rockin' the wedge high-top sneaker. I must admit, the last time a wore high-tops was back in the fourth grade, but these are slowly growing on me. They're the perfect mix of sporty chic. Come Spring, these are sure to be everywhere. Here's where you can get the look for under $50.